Dental Implants are a great option for replacing missing teeth or a single tooth. They are made out of the finest materials- mostly titanium, which is able to integrate with your bone. Advancements in Implant Dentistry alongside efficient anaesthetic techniques have made placing an Implant relatively pain free. This means placing an Implant with the same technique used to place a filling on a tooth! Implants can also help keep your dentures in a fixed position- these are known as ‘Implant retained overdentures’. 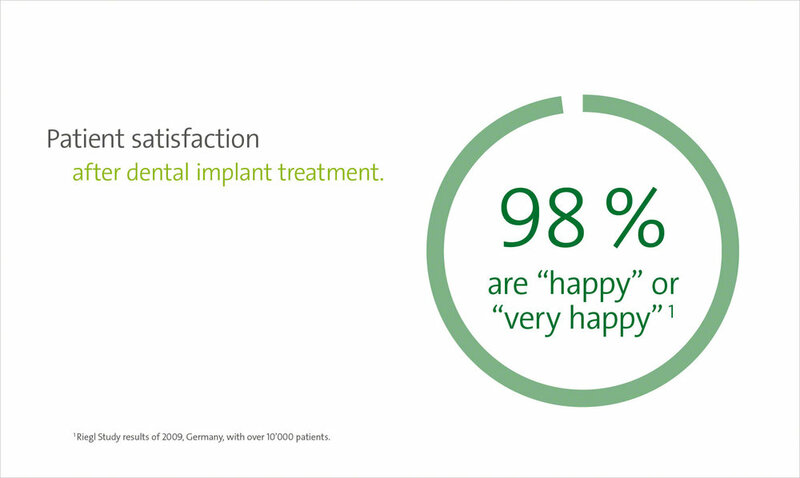 Implants have a very high success rate, around 96%, and have been used for more than half a century. At AURA Dentistry, we use one of leading companies in Implant Dentistry- Straumann. They are market leaders in providing long term research to ensure stability of your Implant. Straumann also run courses to teach dentists how to place Implants and have published widely in this area supporting further development and progress in this field. Unfortunately there are several Implant companies in the market, which do not have sufficient evidence to ensure their reliability. These can often be placed by cutting costs, however their sustainability cannot be guaranteed. Following a very thorough examination of the mouth, several scans need to be taken to ensure the Implant is placed in the correct position. This includes the angulation and depth of the implant. There are several anatomical structures in the upper and lower jaw, which need to be taken into account to prevent complications. At AURA Dentistry, we ensure that the correct steps are taken and explained to you at every stage. A surgical guide will always be constructed to aid placement of your Implant. A 3D scan will be taken to ensure consideration is given to anatomical structures.